Housebreaking and crate training a puppy go hand in hand. The crate is your dog’s den and dogs have a natural instinct to look for one thanks to their wild ancestors. Therefore, it is a good idea to buy a dog crate even before you bring your puppy or adult dog home. 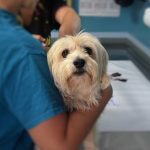 In this guide, we will be discussing which puppy crate (or adult dog crate) to use, dog travel crates and everything else you need to make crate training more comfortable for you and your pet. Crates can help minimize night time crying in young puppies. 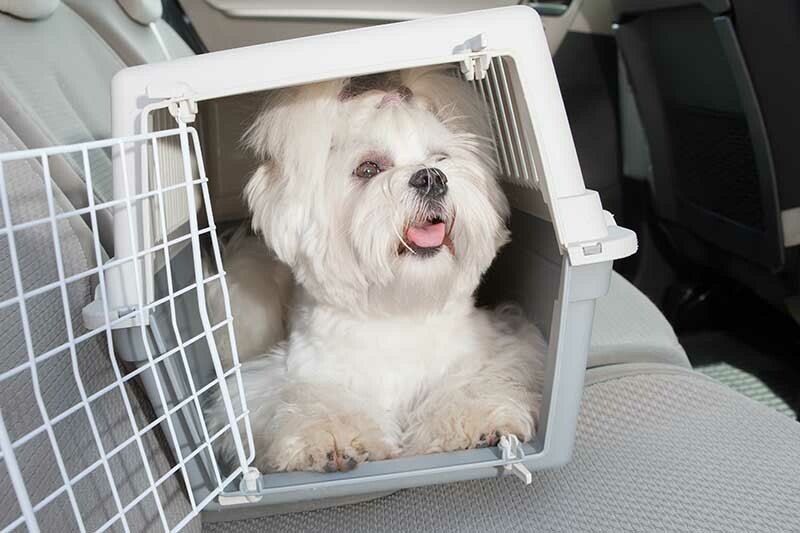 Dog travel crates can make car and airline travel more comfortable and safer for your dog. 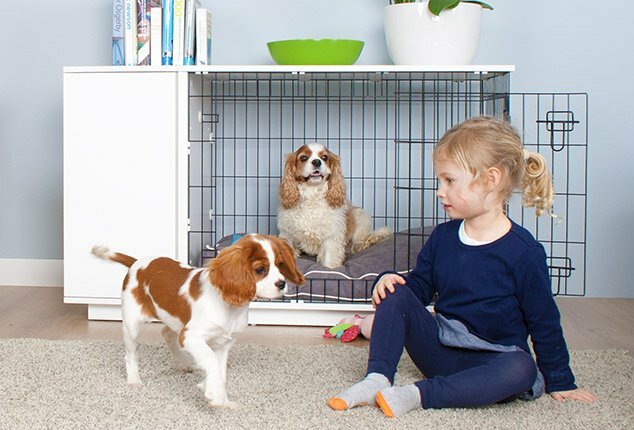 Crates provide a space to give your dog time out while training and teaching about unacceptable behavior. (Avoid making the crate seem like a jail-do not scold your puppy while placing him in the crate or it might refuse to sleep in it). It can help you confine a sick puppy. A properly fitted crate can also help minimize accidents since puppies usually do not soil their sleeping beds. What Size Puppy Crate to Buy? How Much Room Does A Puppy Need in a Crate? Choose a puppy or dog crate that is big enough for him to enter, turn around and also lie down comfortably. In case of puppy crates, buy one that is just a bit bigger than him. This way, the puppy will not divide it into a sleeping area and potty area. If you want to use a larger crate for puppy, you can deny him access to the back side and make it smaller by inserting boxes, cartons, or removable wooden barriers, etc to prevent him from misusing the extra space. You will know when your puppy is ready for a bigger crate when he is housetrained and knows how to hold his urine in for longer periods. Eventually you are going to need a larger dog crate for the adult dog. 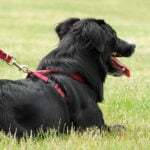 If you are buying a crate for a large sized, fully grown dog, you can get a rough idea by taking the dog’s measurements. Measure from the tip of the nose to the base of the tail (not the tip of the tail). From these measurements, find a dog crate that is slightly bigger than this. Do not use a dog crate smaller than these measurements. When buying a crate for puppy, measure the pup in the same way. However, remember that puppies grow very fast. So it makes sense to add a foot to the pup’s measurements to anticipate for his growth. You can also tell your pet store clerk about the breed for which you are buying the crate. They will be able to recommend which puppy crate (or dog crate) to use. Wire or Plastic Crates: Which are the Best Dog Crates? There are many different materials for dog crates but most people prefer wire or plastic crates. Wire crates sometimes come with a divider so you can adjust the space available. This way, you can buy a crate large enough for when the puppy grows up. If you are planning to go this route, make sure that the wire crate comes with an adjustable divider since not all wire crates are so equipped. An advantage of using wire crates is that they have a removable plastic bottom which can be handy for a quick cleanup. Some rigid wire crates come with chrome plated, galvanized, painted or rubber-like coating. These crates range in price of about $50 to $150. Plastic crates provide a more den-like atmosphere which some dogs and very young puppies prefer. These crates are usually better when you leave them in one place and do not have to move them around. Plastic crates generally do not come with a divider or a plastic floor liner. They also have poorer ventilation than wire crates, so do consider their placement in your home. Avoid plastic crates for dogs with heavy coats and short muzzles because heat retention is greater in this type of crate than wire ones. 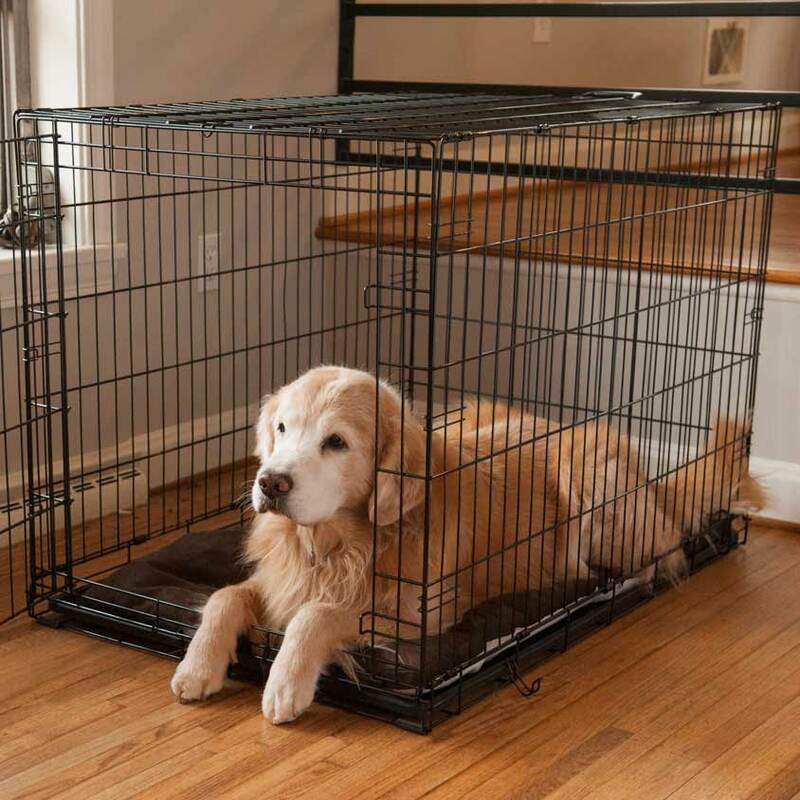 Once your dog has been housetrained, you can choose a soft crate style made with nylon, polyester or fiberglass rods. Dog travel crates are made of plastic. They are lightweight and easy to carry. Plastic travel crates provide a sense of security and privacy to the dog. They are also designed for safe car travel. Travel crates are also easy to clean. Some travel crates do not have perfectly flat floors and may have some raised dents or indentations. If that is the case, place some comfortable rubber padding or plywood under the mat to make it more comfortable for your pet. Some airlines do accept wire crates but these may be uncomfortable for dogs who like their privacy. Once you have selected and purchased dog crate, select a spot for it in your house. This designated space should be quiet, clean and comfortable. It should be a spot where the dog can rest. There should be good circulation around the crate-make sure that it is not in the direct path of an air conditioning or heating vent. Avoid placing the crate in the sun as it can get very hot inside the crate. Now you know how to buy a dog crate. 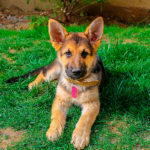 For more tips on house training your puppy, check out this article. What Is Pyometra? Can It Be Treated Naturally? What Are Ways To Prevent It?